I’m Dr. Brenda Wade. I’ve practiced and taught a unique method of holistic psychology for over twenty five years, and have reached millions with life changing information and inspiration through my seminars, television programs and books. If you have watched Good Morning America, The TODAY Show, Oprah or the national PBS show Healing Quest, you have seen me and know I’m all about love and beautiful, real results. 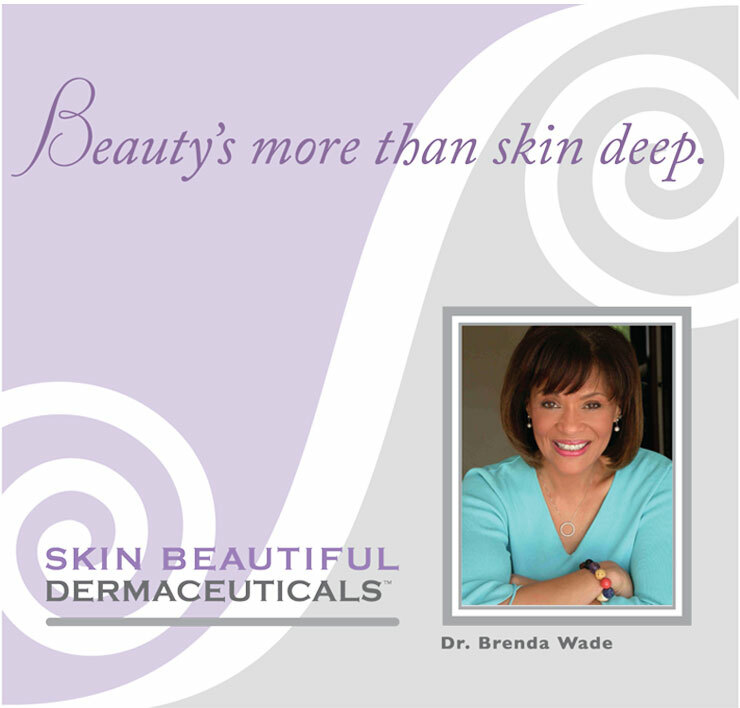 I am so thrilled to introduce you to Skin Beautiful Dermaceuticals™, the first skincare line to create an holistic environment for beauty by teaching you to combine beautiful thoughts and actions with powerful anti-aging products. Why is this such a powerful approach? Because inner beauty shows on the outside -- it all begins with our minds, and more specifically, our thoughts. Great skincare products are essential – we need all the hydration, cleansing, exfoliation and nutrition we can get for our skin. But I believe beautiful skin goes a lot deeper than skin deep. What starts on the surface can be enhanced through thoughts, words, feelings and actions. Even touch. I work with my clients to imagine the mirror as a friend, one that reflects positive thoughts and feelings that can increase your health, vitality and beauty so they can awaken beauty from the inside out. How did I discover and create these singular, scientifically based tools I’m going to share with you? It all started when I was studying the brains of prematurely born monkeys. You might be wondering what exactly monkey brains have to do with beauty. Directly? Nothing. But it was this experience that set me on my path to discover a new approach to beauty and self care. I was so depressed and unhappy during those days in the monkey lab, that I always felt tired and ugly. My life felt dark. And this low emotional state brought on a crisis with my health. All of this made me realize I needed some effective help and support. Which is when my journey began. Through a lot of determination and searching, I was lucky enough to find the teachers, therapists, coaches and hundreds of books I needed to help me with my healing journey. I traveled all over the U.S and the world to find the truths and science that could unlock my heart and soul. And, it worked! Suddenly, I was waking up every day with energy. I started seeing the good in myself and in life. In fact, life began to look beautiful even when challenges arose. I was able to put all that I learned together, began to share it with others. That is how I ended up as a fixture on national TV, came to write four books (with a fifth on the way) and how I began to practice loving and accepting myself as a beautiful, alive person. I am still on that journey, because the truth is, as human beings, we --especially our brains-- are designed to keep growing and learning. I believe my story and struggle can be of immediate use, because I’ve already done the legwork for you. So instead of having to spend years engaged in research, traveling all over the globe to meet experts and find answers, I am going to share all the secrets I have learned with you! Intuitively, we all know and notice how inner beauty shows on the outside. It all begins with our minds, and more specifically, our thoughts. When you are feeling relaxed, something special and wonderful has happened in your life, you have experienced the beauty of art, music, or maybe you have been dancing, there is a warm radiance, a sparkle in your eyes, and an extra glow to your skin. Now, I’m going to introduce you to some of the latest cutting-edge research proving just how powerful our thoughts are, powerful enough to even change how you feel and how you look! Great skin products are essential, and you can imagine how important they are to me. I am often on long, dry, coast-to-coast or overseas flights, and am continually wearing TV make-up. I really need all the hydration, cleansing, exfoliation and nutrition I can get for my skin. No matter what your lifestyle, your skin is your body’s largest organ and needs the best possible care to stay healthy and beautiful. 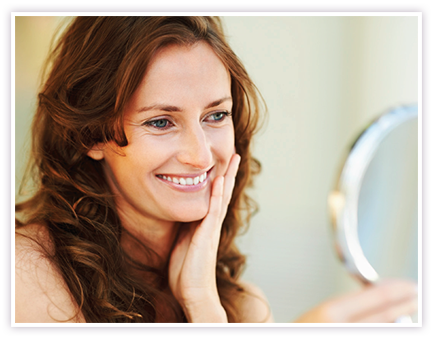 Learn how using Affirmacizes with Skin Beautiful Dermaceuticals™ anti-aging products can reprogram your mind for beautiful thoughts and beautiful skin.